ERA Franchise Systems LLC launched its European expansion in 1993 with the opening of ERA France. Today, ERA Europe is one of the fastest growing residential real estate network in Europe with 1,108+ offices in year 2016 operating in 13 European countries: Austria, Belgium, Bulgaria, Cyprus, Czech Republic, France, Germany, Luxembourg, the Netherlands, Portugal, Sweden, Switzerland and Turkey. ERA Brokers in Europe, and worldwide, are proud to present this most recent selection of luxury properties. ERA brokers understand certain properties possess such distinction in their respective communities that they are deserving of a program offering unique marketing, technology, and exposure to potential customers on a global scope to truly highlight the property's stature. The ERA® Europe International Collection is such a program. 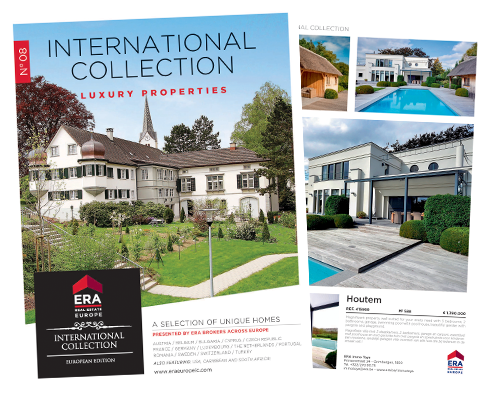 With a superior level of attention and performance, the ERA® Europe International Collection employs a sophisticated range of marketing strategies and techniques to transcend barriers that generally restrict most real estate companies. Click Here To View International Collection Properties. The ERA Europe Market Trends Report is a unique summary of the residential housing sector complied by ERA Europe together with ERA Country managers – experts who are the best informed because they deal with weighty issues, every single day, in the residential real estate brokerage sector in their respective markets. This report offers a comprehensive review on the dynamics of the residential real estate market in many diverse European countries; it compares 2014 to 2015 key residential real estate figures. 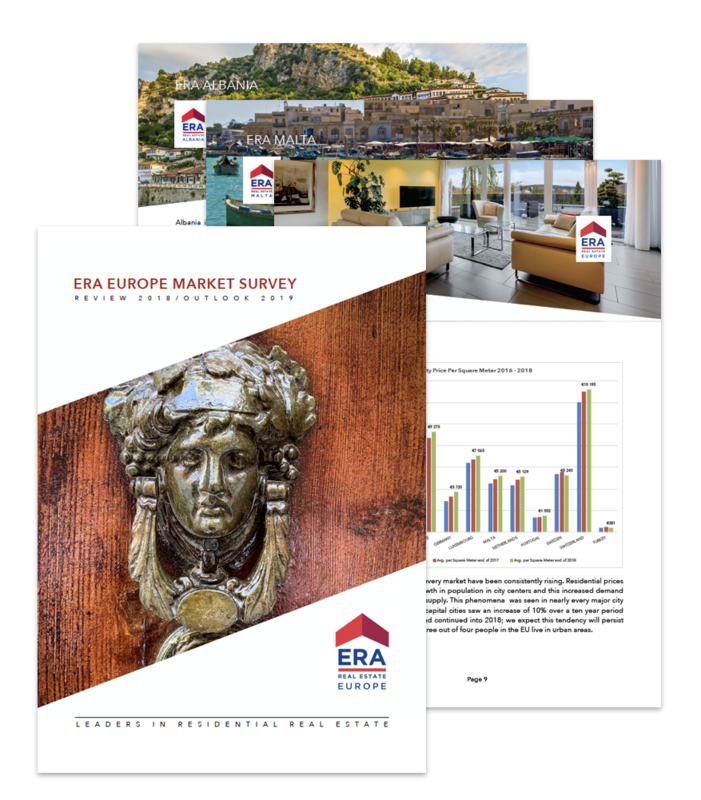 Included in the country market reports are comparison charts highlighting trends in the European countries where ERA Real Estate is present, with perspectives for 2016. Within the report ERA Europe Master Franchise managers set forth country statistics (as available upon date of publishing) from reliable sources such as governmental statistical offices, bank and mortgage institutions, industry experts; as well as an analysis of trends based on information from their respective ERA broker networks. Pure comparison of certain figures, however, is challenging given the wide variation in types of data tracked in each country. Though there are efforts underway to harmonize the collection of data on a EU level, it is far from being truly achieved. Therefore, the expertise of the country Managing Directors and their keen market insights bring a fresh, firsthand perspective and balance view to each market report. Thank you for your interest in the European Market Trends Report. Please fill out the form and we will email you instructions to download the report.